For those of you interested in the CrossFit Sports Series' upcoming Downhill Ski and Board event at The Canyons, in Park City, Utah, here are a few more details. To arrange childcare as well as ski or board lessons for the kids, call (877) 472-6306. The event begins on January 15th, during the popular Martin Luther King Jr. weekend, so be sure to call early for reservations. CrossFitters at the event will receive a 15% discount on all rental equipment. When the skiing and snowboarding is over, there will be an after party at the Red Pine Lodge. Races? Sweet! It looks like I have two and a half hours to learn how to ski. 05 January 2011 / 8:59 p.m.
What type of races? Is this GS or Slalom or Downhill and individual timed or dual, etc.? How many runs, etc.? Need more details on what the racing is all about so we can sort through our collection of ski's to pick out the ripping fast ones. 05 January 2011 / 9:20 p.m.
J Todd - It's a short downhill dual race. It's about a 35-45 second run. The Sports Series is different from the Games. It's about the everyday athletes in the community getting together and having a low-key, active, good time. It's less about stopwatch and form. 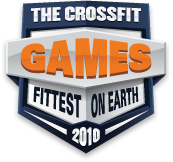 We're looking to get CrossFitters out of the box and participating in other athletic endeavors. Experts with a full collection of skis for different conditions will have a great time hanging out, and hopefully help some newbies get going in the sport. This is also your time to shine! You may not beat Mikko on the training floor, but you might just smoke him on the slopes! 06 January 2011 / 8:40 a.m. I have heard rumors that each person will have to make a run on skis and on a snowboard, is that the case? 06 January 2011 / 8:48 a.m.
Cody -- You have the option to do either snowboard or ski runs. Your choice. 07 January 2011 / 11:05 a.m. If you aren't planning on participating in the races but still want to come ski and hang out, do you still need to register on active.com or can you just show up and buy your lift ticket there? 09 January 2011 / 2:54 p.m.
Just come out to hang and ski. We've secured $60 lift tickets for CrossFitters. Be sure to mention it when you're buying your ticket. Check out the tentative schedule so you can be sure to make it to the key events of the day! 10 January 2011 / 7:54 p.m.